Lovingly Maintained! Seller is the original owner family and this home is shiny clean! New Marvin Windows and hardwood floors in the Bedrooms. Spacious rooms and a terrific floor plan. There?s a kitchen in the basement and all the appliances stay. You?ll love the recently re-screened porch this summer as well as the attic fan reducing those utility bills. There?s a 4 fix. bath on the main floor with shower and tub. The finished basement features a 2nd kitchen, 2nd full bath, laundry Rm, Lg wet bar area and FP. The list of features includes: Wet plaster T/O, New gas boiler, New A/C Unit & Condenser, separate elec. Meters for A/C & HWH, 2 elec panels (100 & 150 amp), copper plumbing T/O, rear of house heat taped gutters & downspouts. The garage features attic storage, a wood stove, exterior brick grill & 300 sq ft of workshop area. The adjacent lot is also available for sale. 61?x138? and is buildable. 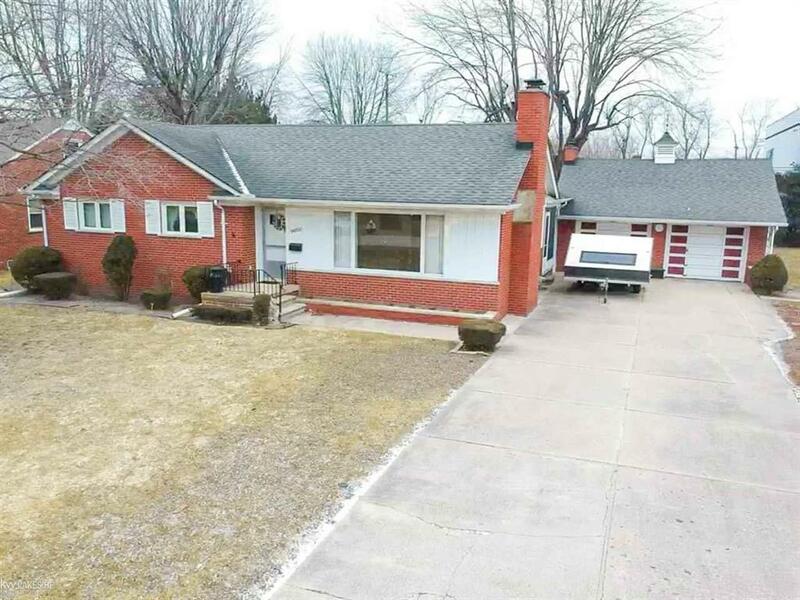 This home is located on a quiet cul-de-sac in the award winning Utica school system.